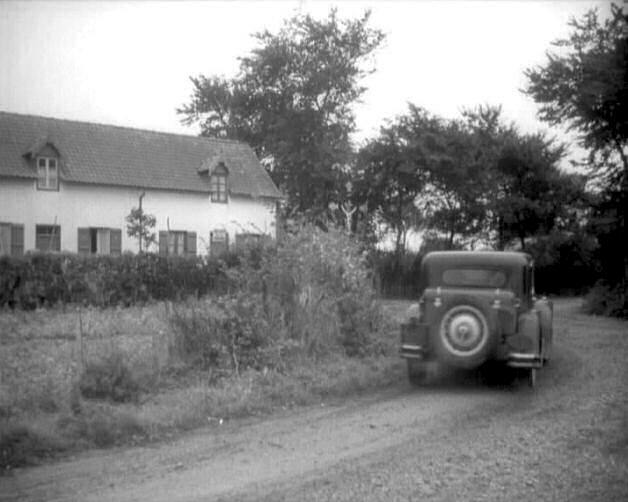 IMCDb.org: 1931 Bugatti Type 50 Million-Guiet  in "Le crime de Monsieur Lange, 1936"
My first impression is that we have two different Bugattis here , one on the large picture and another one on the small pictures .Will have to search for type and coachwork. 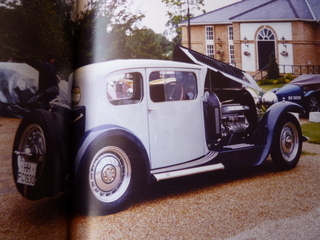 The Bugatti of the large picture could be a Type 44 3 litre with coachwork by Million-Guiet of ca 1930. It looks rather heavy.The second one is much finer and could be a factory coach also on the type 44. Obviously we will need assistance from a Bugattist. 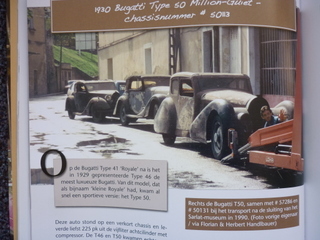 Chassis 50113 Bugatti 50 Coupé by Million Guiet. 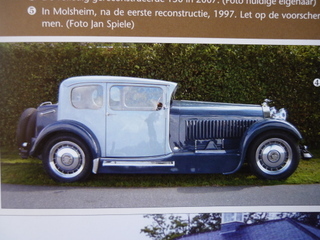 This week I got a very interesting book about what happened to the collection of 'Sleeping Beauties': Link to "www.thefateofthesleepingbeauties.com"
Here I found that this very car had been part of this collection of Michel Dovaz. 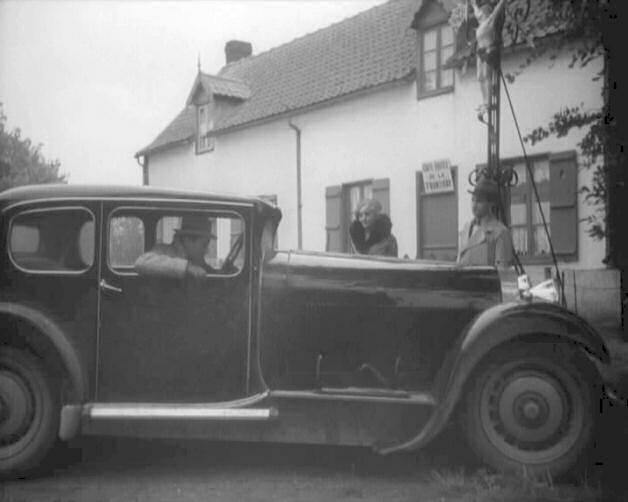 The chassis was built in October 1930 (only the 2nd of the 65 Type 50 built between 1930 and 1934) and sold to the Paris entrepremeur Dominique Lamberjack. 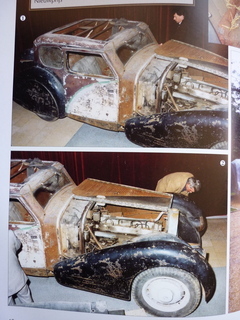 After WWII a Mr. Varenne from Paris (who was the new owner) modernized the car by mounting the fenders of a Bugatti T57, new semi-built-in headlamps and a slanted windscreen. 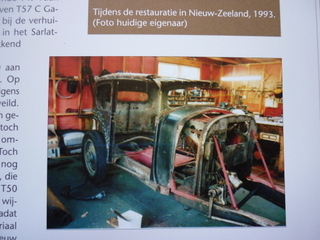 In 1956 Michel Dovaz bought the car in this condition. 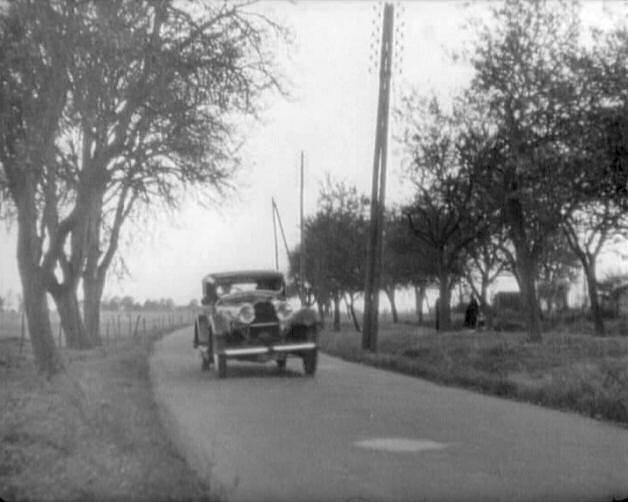 Henri Guisol au volant, et Florelle et René Lefèvre les fugitifs temporairement sauvés.